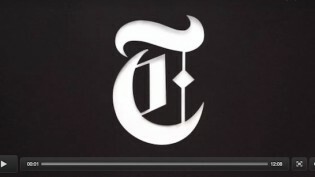 May 5, 2014, 10 a.m.
With big bucks from philanthropist Chris Buck and an audience via The New York Times, Retro Report is building a new kind of media criticism years after the fact. By Caroline O’Donovan @ceodonovan May 5, 2014, 10 a.m. When trying to get people excited about his video news nonprofit, Chris Buck relies on one question to get the conversation started. Buck founded Retro Report about two years ago, although the idea for an investigative, video-based media criticism project had been percolating with Buck well before that. With Retro Report, Buck wanted to revisit some of these major headlines from the recent past and, with the help of over two dozen investigative reporters and video producers, figure out how these major events — and the reporting around them — look different in retrospect. Love Canal, the McMartin preschool “Satanic abuse” case, Biosphere 2, Tawana Brawley, the medfly scare, the McDonald’s spilled coffee lawsuit — for people of a certain age, Retro Report will bring memories of nightly newscasts from the late ’70s, ’80s, and ’90s rushing back. The idea for Retro Report actually came to Buck 15 years ago, watching TV. “A Saturday afternoon, they came on to tease the news, and the reporter said, Is your water killing your children? Details at 10. My dad and I had a discussion about how unfair it is — this temporal advantage that newscasters have to leave us hanging, to scare us into watching the news,” says Buck. What Buck is doing with Retro Report is not wholly dissimilar — only the stories are decades instead of minutes old and the format is 12-13 minute mini-documentaries. Much of the Retro Report aesthetic comes from working with journalists who have experience at organizations like Frontline and 60 Minutes, including managing editor Kyra Darnton. Buck hired Darnton as the concept for Retro Report was still being shaped. 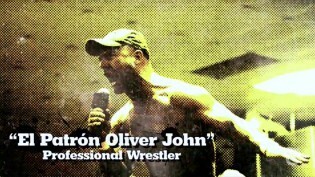 At one point, he and cofounder Larry Chollet had conceived of the project as primarily text based, with video augmentation. Later, after hiring documentarian Stephen Ives, the project became video focused — but Buck felt it still lacked a reporting edge. “There was no real strong investigation,” he said. “There wasn’t that component that we would need, in the end, to dig into these stories a little deeper.” It was then that he hired Darnton, who brought a strong culture of storytelling with her from 60 Minutes — though she says she thinks of the videos as mini-documentaries more than newsmagazine pieces. The real coup for Retro Report came early on, when Ann Derry, The New York Times’ editorial director for video and television partnerships, agreed to distribute all of their content. Do you have what it takes to be The New York Times’ Next Top Documentarian? The Times posts new Retro Report content every Monday when it’s in its production season and distributes their videos on Hulu, YouTube, Yahoo, and AOL. From its inception, the Times has added text stories to the Retro Report content, at first as part of the now-defunct Boomer blog, later via beat reporters, and now through former Times columnist Clyde Haberman. Darnton also regularly meets with an editor on the news desk to discuss stories and coverage. Sometimes, as with the story of Vietnam War protesters who stole FBI documents in 1971, the Times adds additional reporting and an original package to a Retro Report story. In a more recent case, reaction to the “superpredators” video ended up in print on the Times opinion pages. Derry says Retro Report videos are “shockingly popular” and are consistently among the most-watched pieces of video content at the Times. “Everyone says to me: When are we going to find another Retro Report?” she says. Times executive editor Jill Abramson has often said she believes it’s the Times’ responsibility to tell “the story behind the story.” Retro Report, Derry says, accomplishes that mission in a visually compelling and powerful way. “If you say journalism is the first draft of history, this is like the third draft of history. You see how it’s reported, what the first draft was, and then you see what was really going on. We learn more about the story and/or you learn the effects, on social policy or politics,” she says. The Times’ strategy for video was further elucidated last week at the Times’ Digital NewFronts presentation. Rebecca Howard, general manager of video production, announced Times Video at the event, a newly designed hub for the paper’s ever-expanding video content offerings. She underscored how the Times plans to incorporate its existing star columnists and reporters into its video strategy, while also continuing to seek out partnerships outside the paper. For example, the Times has entered into a new partnership with Vimeo with a video series on “adventurous eating” called The Perennial Plate. Around the same time that Buck was preparing to launch Retro Report, he was inspired by a Nieman Lab story in which Megan Garber wrote: “What if we had an outlet dedicated to continuity journalism — a news organization whose sole purpose was to follow up on stories whose sheer magnitude precludes them from ongoing treatment by our existing media outlets?” Retro Report accomplishes that goal by bringing up long-forgotten controversies, and then satisfying the desire to know what’s happened in the intervening years. In doing so, it plays into an important dynamic of digital audience that we’ve learned from BuzzFeed and its ilk: Nostalgia is a powerful driver of eyeballs online. 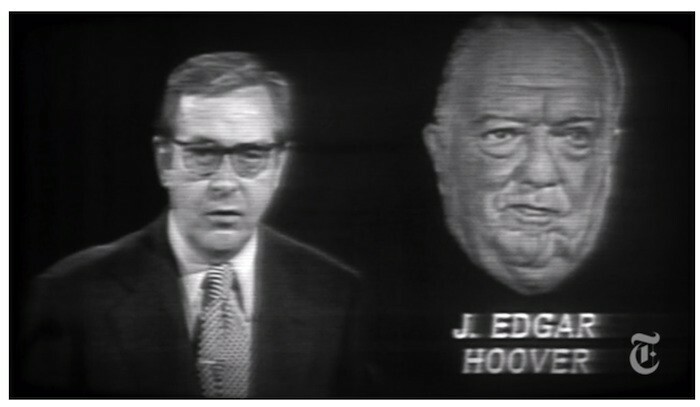 News broadcast image of J. Edgar Hoover via Retro Report. POSTED May 5, 2014, 10 a.m.
O'Donovan, Caroline. "The third draft of history: Retro Report looks back at media-hyped stories of the recent past." Nieman Journalism Lab. Nieman Foundation for Journalism at Harvard, 5 May. 2014. Web. 20 Apr. 2019. O'Donovan, Caroline. "The third draft of history: Retro Report looks back at media-hyped stories of the recent past." Nieman Journalism Lab. Last modified May 5, 2014. Accessed April 20, 2019. https://www.niemanlab.org/2014/05/the-third-draft-of-history-retro-report-looks-back-at-media-hyped-stories-of-the-recent-past/.